Marketing and Sales Planning are essential to the success of every business that wants to be more than a hobby or filler type business. If you want to attract new clients, you need to work at it, with some consistency and persistency. Too many small business owners adopt the spray and pray approach to marketing with little success. What is spray and pray? Completing random marketing tasks anywhere and everywhere on an unplanned and inconsistent basis. ‘Today I’ll put up a Facebook post. Now today I’ll put up a LinkedIn article. Next I’ll set up a stand at a school fair.’ Sound familiar? This is spray and pray in action. Random marketing actions that are not planned holistically. In essence no thought is given to what you’re trying to achieve, but rather a desire to be seen out there on lots of different marketing channels. A big issue with this approach is that if you lose interest or get busy, the marketing becomes haphazard, confusing your potential clients. We suggest starting with an annual plan, and working your way down to daily. Starting annually allows you to see where you have commitments, and large sales initiatives to work around. 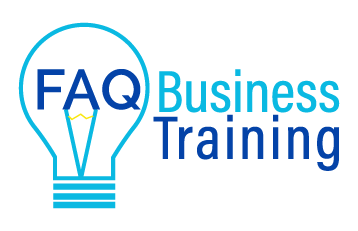 Utilising the FAQ Business Training Calendar* you can see International Days you may want to take advantage of, and plan for them accordingly. There’s no point thinking once International Women’s Day hits for instance, that you can plan a campaign around it, you need to plan ahead. Big consumer days like Mother’s Day and Father’s Day may need months of planning if you’re in retail. What marketing activities you will undertake, will in part depend on where you are in the marketing funnel. The top of the funnel reflects the reach to our target clients or our niche (not everyone). Act is where we ask the prospect to take action and watch/read/buy something small. Convert is where the prospect becomes a client, by buying one of the main things we sell. The bottom point of the funnel reflects repeat clients and our raving fans. Focus on retention. Sales planning is about us getting a lot more focused on the convert part of the marketing funnel. 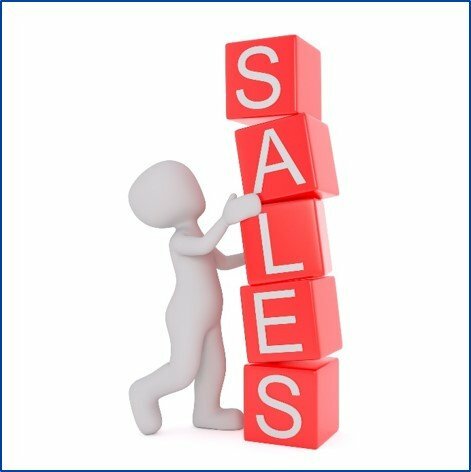 Sales Plans relate to a single product or service, being sold to a single target market, with a specific message. Therefore we utilise a short plan, but are very clear about what we want to achieve from it. These plans start with setting the sales targets, and the key performance indicators (KPIs), and cover things like who the decision makers are, our sales process, and address any marketing efforts required. We offer face to face workshops in Western Sydney on this topic, and they will be added to our online delivery in early 2019. Our upcoming courses are listed on our ‘Upcoming events’ page. * This Excel based calendar is currently available free of charge to participants of our Marketing and Sales Planning Workshops (offered in person in Western Sydney). If you are interested in the calendar for a small fee please contact us.